Old astronomical clock will be restored according to the program 'Link of Times-Link of Technologies'.The program is conducted with the participation of Sumsung company. The device was created by the German masters in 1584. At that time it was one of the most complicated mechanisms. It consists of two spheres, representing the earth and the sky. 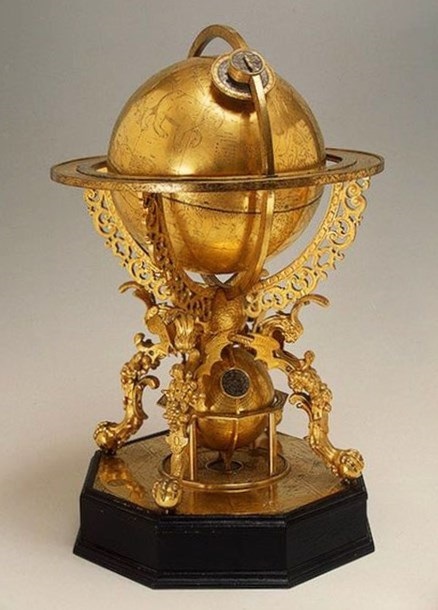 Globes rotate and the moon phase as well as time of sunrise and sunset of the sun are traced. Automatic 'eternal calendar' reflects today's date. As it known in the museum the clock was done by the order of Roman emperor Rudolf II and was used as the special diplomatic gift.